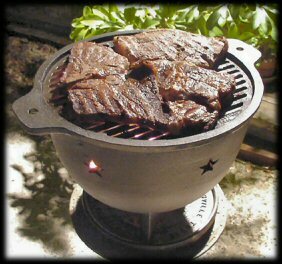 This spectacular cooking grill features 2 easily removable half-grills, a unique air vent system, and convenient ash pan. Wait 'til you see those little Lone Stars glowing at night! 50 lbs.